A visit to Burgess Cellars begins with a panoramic vista that offers real perspective on the Napa Valley. One can see the length of the Mayacamas range, from Calistoga to the hills beyond Napa. We present our wines in our cellar, where you are surrounded by barrels. Please contact us to make a reservation. Tastings are by appointment only. We would love to share our wines with you! Our selection showcases our two estate vineyards on Howell Mountain, with a hillside terroir representing only 4% of Napa acreage. Guests enjoy our flagship Cabernet, and also single vineyard, single block bottlings of Petit Sirah, Malbec, Petit Verdot, and our intentionally farmed Rosé of Syrah. An unparalleled library selection, with every vintage from 1979 on, is available for sale and cellared in our Tasting Room. View from Tasting Room: 1000 feet up on Howell Mountain hillside with full Upper Valley view! Wine Education: A history of Napa Valley from the 1870s to today. To join the wine club, visit www.burgesscellars.com or call 707-963-4766. High above the Napa Valley floor we provide an experience only found at over 1000 feet. Our wines dictate the mountain elevation and steep slopes with their elegant tannins, dark berries and complex flavor profile. This led us to create the Guild of Mountaineers. The higher you climb, the better the view. We invite you to explore our wines at the level you choose. • Shipping included on Wine Club shipments. • Complimentary* tastings at the winery - please call in advance for an appointment. 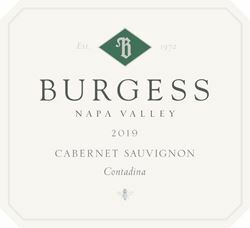 • Priority access to all Burgess Cellars handcrafted wines, including current releases, club-only wines and Library releases. • Priority invitations to Burgess Cellars wine dinners and events. Napa Neighbors enjoy two (2) complimentary tastings for our 'Tasting in the Cellar' experience. Valid MONDAY - FRIDAY. By advanced reservation only. Guests must mention 'Napa Neighbor' when making a reservation.